Hearing your doctor tell you that you have diabetes and are going to have to make some changes in your life if you want to keep your eyesight, your teeth, prevent comas and loss of limb can certainly be shocking news. Diabetes carries an oppressive association, but despite getting the unwanted news that you have diabetes, you need not feel that life is over. As a matter of fact, the quality of your life with diabetes is largely up to you, regardless of your age. Diabetes will impact other areas of your health if you do not control your blood sugar level. Everyone knows that diabetes can affect eyesight, result in poor circulation that can lead to foot problems or amputations, but it can also cause dental problems as well. Additionally, living with diabetes means that you should be aware of how it can affect your ability to drive, perform certain jobs, and even how you are tended to in case of a medical emergency or hospitalization. 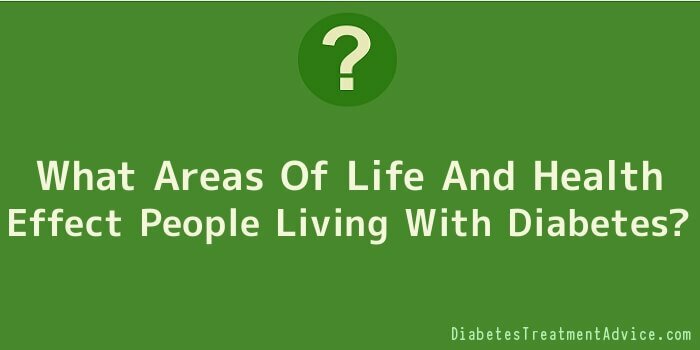 Other issues of concern to the diabetic are their dental health, skin care, weight issues, and hospitalization. Not many diabetics realize that the illness can affect their teeth. The diabetic who practices good dental hygiene and keeps his or her blood sugar levels normal is at little risk of having major dental problems. Because of the special needs a diabetic has, if you are hospitalized for any reason, you need to ensure that hospital personnel knows your status. Wearing a medic alert bracelet can make the difference between life and death in the event of a medical emergency. The first step in learning to live with diabetes is learning all you can about the disease. Armed with this knowledge, you can plan your life and activities to ensure that you control diabetes and let it control you. Once you have accepted the fact that you have diabetes, you need to be determined to do whatever you can to live a normal life. Having diabetes does not mean that you cannot have a family, play sports, or have a career of your choice. Make a plan outlining how you need to deal with your illness. This plan should include an exercise routine, your diet, and medication. In addition, you should have telephone numbers of your healthcare provider and family members close at hand. Since information is important to the diabetic who plans on taking responsibility for his health, it is a good idea to keep website addresses of sites you visit often within easy reach. Get your own glucometer so that you can test yourself daily. This is done by simply pricking your finger for a drop of blood and the machine does the rest. Keep abreast of new developments in the treatment of diabetes.